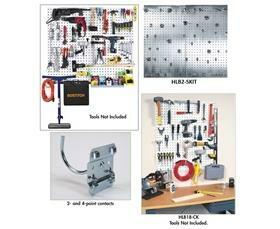 LocBoard® Steel and Stainless Steel Square Hole Pegboard Kits. LocBoard® offers heavy-duty storage solutions that will always ensure the ultimate in holding strength. Heavy-duty welded construction. Boards attach to walls, benches, wire cages, tool carts and other vertical surfaces. Board surface is ideal for the silhouetting of tools. Available in colors with epoxy powder coated finish, and Stainless Steel. LocHook® 2-and 4-point interlocking tabs attach to the LocBoard® for metal to metal holding confidence. 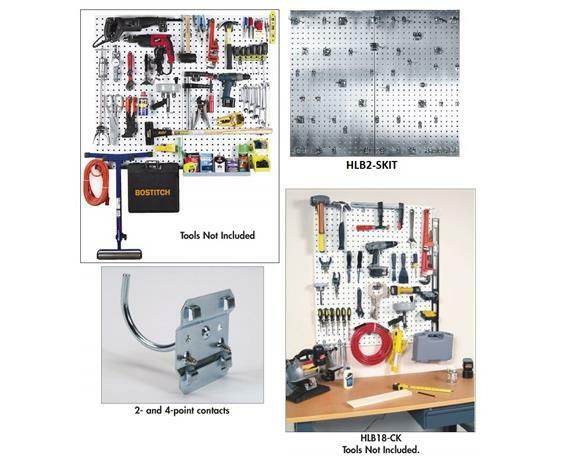 LocHook® Steel square hole pegboard hooks can be positioned, rotated or combined with other hook styles to improve holding power and offer storage solutions for odd shaped and heavy tools. 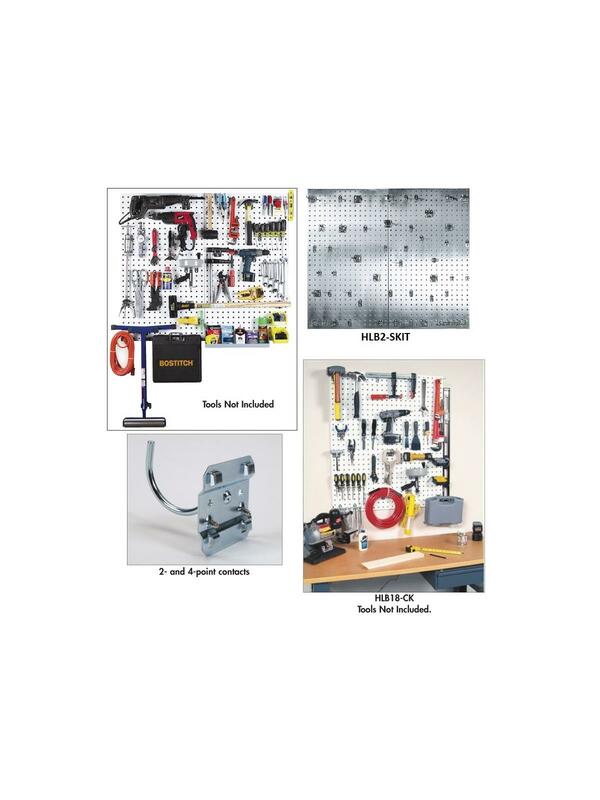 Use with LocBoard® Square Hole tool board panels. FOB Shipping Point.